This cute little jar was made by Elyse Major. I saw some of them in one of photos in this post and asked about how she covered the lids. She told me and then she said, "I'll send you one" and she did! Isn't she sweet? And look at all the fun stuff that was inside the jar! Oooh! That is so sweet of Elyse. What a gorgeous jar! That Elyse is one sweet girl! 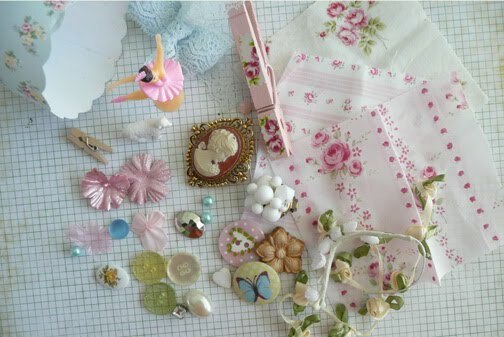 She always includes such wonderful treasures. i just cover the lid with strips of paper with either mod podge or images printed on labels. 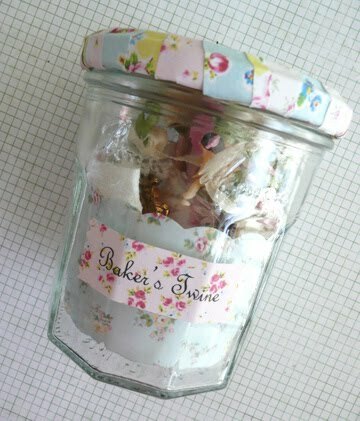 super cute jar, and super sweet of Elyse! I love blog friends! So so sweet! Love everything inside too!